A giant Transient who grows a white beard. He is the one who controls Rán, the devouring "sea that lived" that spreads out in the other world Yggdrasil that spares no ship, no man. He loves shining treasures more than anything, so he made it his life's work to collect them. Because of that, he has an exceptional amount of knowledge and aesthetic eye for high class treasures. This isn't limited to just gold; it covers anything he considers to "give off light." He has a childlike personality where he is poor at holding back from the things he wants and likes being complimented on his collection above all else. The anchor shaped Sacred Artifact he possesses has the power to drag in anything it touches. By using this, Aegir is capable of causing large whirlpools in the ocean. After binding ties to Tokyo and being summoned, he has put his knowledge to use by working as a marine science college professor. He also seems to act as a treasure hunter who seeks sleeping treasures from other worlds connected to Tokyo Bay. He likes parties and hospitality, and he spares no expense or time investment to make the treasures he collected shine ever brighter. It seems his interest is greatly piqued by people who gather gold. Aegir's Sacred Artifact first appeared in Lifewonder's previous game, Fantastic Boyfriends as a weapon to be used by Gordon. Despite it has the exact same design and the name of the weapon surely claiming it was Aegir's, it is uncertain if there is a relation here. Fun Fact his weapon is in Fantastic Boyfriends. One of your party members gets his whip which not only means the world of fantastic boyfriends exist within the 23 of Toyko Afterschool summoners but the characters from that game can also make an appearance hear which I hope happens I love cross overs. 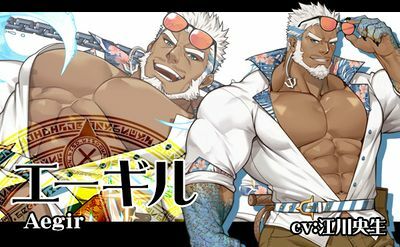 GOD OF HOUSAMO, CAN I HAVE HIM PLEASE PLEASE PLEASEEEEEEE??????????? This isn't limited to just gold; it covers anything he considers to "give off light." 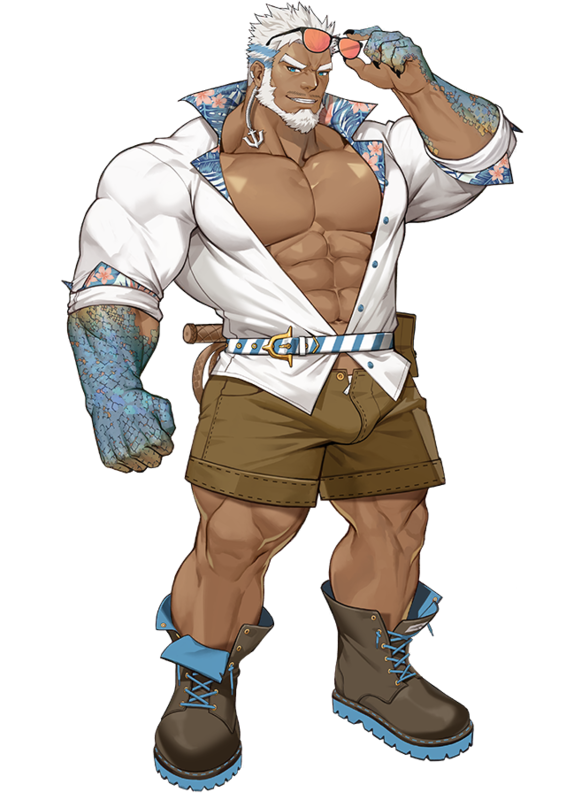 Give Aegir a teacher outfit. Please GomTang! ☆ Is it better to submit another costume of 3? I like his appearance, but his voice… I can't say the same thing. Oh wow first Nikumaru with Ebisu, now GomTang with Aegir here they're getting some nice new artists. Gomtang did really good on this one. I hope I can get his 5star version so I can use him forever. Where's his power bottom face? Justice for Aegir. This page was last edited on 6 February 2019, at 00:52.